Our community of teachers, staff, students, and families is what makes Wade Thomas truly a special place! The teachers and staff at Wade Thomas are dedicated professionals who work closely together to support all students’ academic, social, and emotional growth. Our families are valued partners in their children’s education and in providing enrichment and community-building activities. Our students are the heart of our community and our purpose for being. 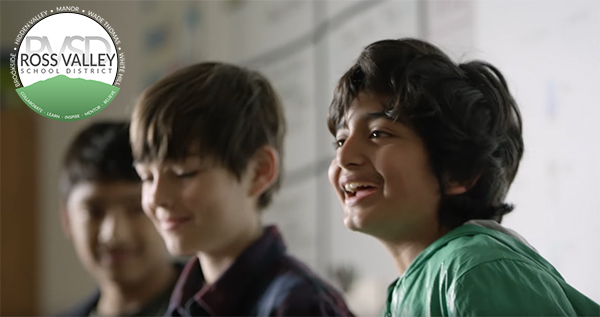 Teachers employ a variety of instructional strategies which tap into students’ strengths, interests, and motivations to make learning engaging and meaningful and for students to be supported and challenged appropriately. The curriculum is aligned with the California Common Core State Standards and promotes the 21st Century Skills of creativity, critical thinking, communication, and collaboration. We embrace a growth mindset, believing everyone can achieve and mistakes are learning opportunities. Throughout the school day, one will see learning taking place in many ways: students reading or writing independently, playing math games with partners, conducting scientific investigations, constructing models to illustrate phenomena, reading with buddy classes, role playing characters in literature, and citing evidence to support their opinions in debate. Lunchtime clubs help students develop leadership skills and provide service to the school community and beyond. Our four simple school rules - be safe, be respectful, be responsible, and be kind – make our campus a positive, caring, inclusive and joyful place where each person is valued, supported, and challenged to reach their highest potential. 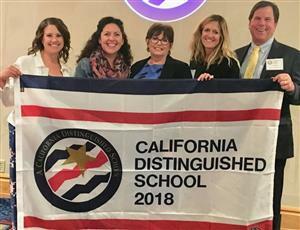 Wade Thomas School was recognized as a California Distinguished School in 2018. State Superintendent of Public Instruction, Tom Torlakson wrote in his congratulatory letter: "The award reflects your school's success in making exceptional gains in implementing the academic content and performance standards adopted by the State Board of Education for all students by meeting state indicators as described on the California School Dashboard..."
Principal Donna Faulkner is delighted to provide school tours and information on our school-wide curriculum and programs. Come join a tour of our campus and feel free to ask questions. Sign up here or call Marlana Kenilvort, Administrative Assistant at 415-454-4603. We look forward to meeting you!